Gooseneck lighting fixtures are a winning combination of unbeatable style and high quality performance. Their wide shades and slender goose necks are where they get their name, and they've long been a staple in industrial settings, along barn walls, or used as accent piece in retail spaces and upscale eateries. Their rustic appeal is only part of their charm. These lights are also as durable as they are attractive, with an aluminum construction that holds up against outdoor conditions. This is combine with a powder coated finish that resists rust, corrosion, and other weather damage that can ruin the look of your lighting. While our gooseneck lights are ideally suited for use at your home or business entryway on the exterior, along walls in a retail space, or at a storage shed or garage door, they also make ideal sign lights for keeping business fully visible after dark. Their arms allow them to wrap around awnings and signs with ease, and their naturally downward lighting trajectories create a more targeted and focused glow when positioned to illuminte a particular sign or display piece. 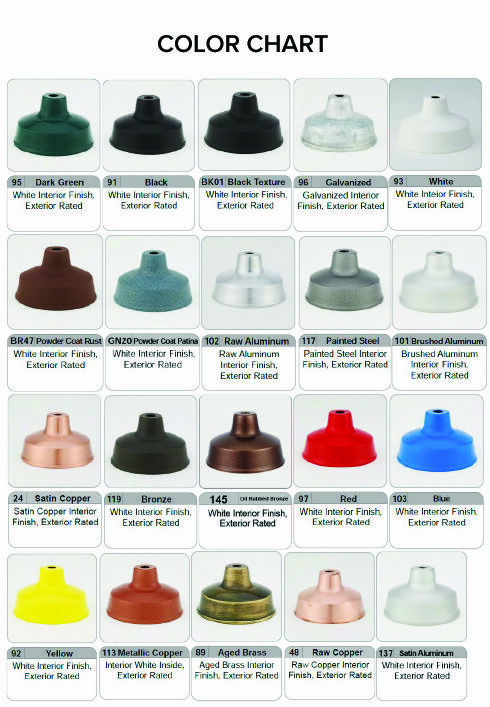 Lights come in a range of attractive colors, many of which are available for no additional cost. In addition to this, you can fully customize the look and function of your lights. Choose from a range of shade sizes and shapes, arm bending configurations, and upgraded lamps which help you save money on your monthly energy bills. Call our customer support team today to discuss the customizations that are a perfect match for your upcoming project.